Metrohm FOSS NIR XDS In LIne Multi-Channel Process Analyzer Spectrophotometer . New Life Scientific, Inc. The XDS NIR Analyzer - Microbundle provides the next generation of process analyzers for real-time analysis in the pharmaceutical and chemical industries. 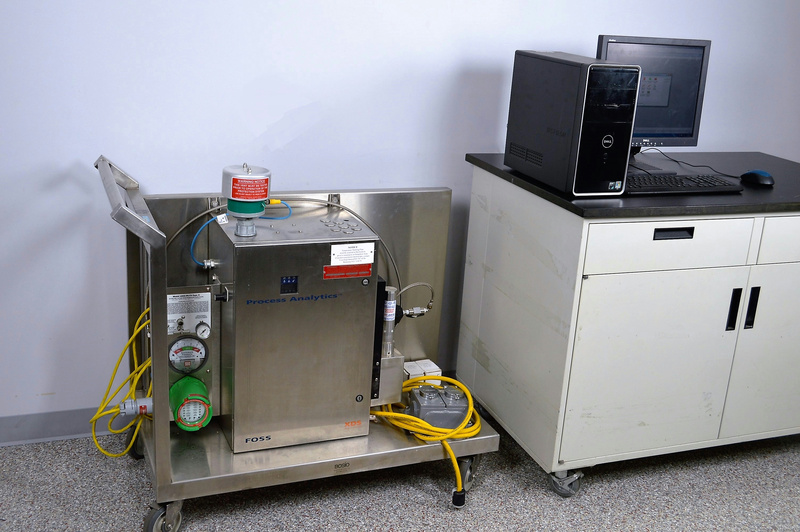 Non-destructive, accurate measurements of practically any sample type (powders, slurries, liquids,..) are performed directly in the process line, granulator, dryer, or reaction vessel. Up to 4 probes and/or flow-cells can be connected to the analyzer. All 4 channels can be configured independently from each other and the micro bundle fiber optics allows the measuring points to be up to 35 meters away from the XDS NIR process analyzer. This 4 channel Analyzer is in good cosmetic condition, with only minor wear from normal use. Foss manufactured and distributed this system originally, but Metrohm has since partnered with FOSS and has become the sole distributor of FOSS NIR instruments for the chemical, petrochemical, pharmaceutical, and environmental sectors. They now market the system as the “NIRS XDS Process Analyzer – MicroBundle 4 Channels.” This system has been mounted on a cart for mobility purposes. New Life Scientific have tested this analyzer with software, and were able to get readings from the system. However, after contacting Metrohm, we have determined that the results pictured seem to indicate a bad detector amplifier. We do not have the knowledge to progress further. Metrohm can repair this system for an estimated $5000, but they have indicated the fees may be less. We have taken repair costs into consideration when pricing this analyzer. Three lamp bulb replacements and a computer with software is included as pictured. The monitor, keyboard, and mouse are not included with this listing. Please refer to the pictures or contact us for more information. Please refer to the documents below for more information on this analyzer, including specifications and capabilities.